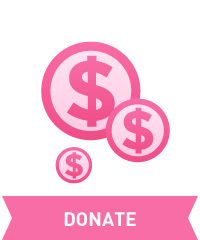 We have reached the end of October and the end of this year’s major Making Strides’ Events. The kiosks will remain out and Making Strides always appreciate your support and donations. For this final “Ways to Help” for the year, we decided to use it to talk about and show our appreciation for our volunteers this year with Making Strides. First, on behalf of Sandie and myself, along with all the Strides committee, “Thank you” to each one of you who put lindens in kiosks, went across the grid shopping with Out Shop Cancer, explored and found a new home from Strides Parade of Homes in SL, bought a raffle ticket or placed a bid on an auction. Thank you Thank you Thank you!!! We appreciate all who planned and held their own events at venues across Second Life. And we celebrate those who became the first set of “Strides Boosters“. Additionally, we would also like to thank Trader1 Whiplash & Nuala Maracas and the staff of T1 Radio/ Legends. Not only is T1 Radio the official broadcaster for Making Strides Against Breast Cancer across Second Life, we appreciate all of the DJs and hosts who donated their time to do events on the Making Strides sim this year. We would like to give special recognition to each of our fabulous special event Sponsors this year. Tremendous thanks to Mac Pierce, Clive Pierce, and the guys of Pierce Design Studio for their amazing job on the Making Strides sim landscaping. With gratitude, we would like to recognize Marina Sharpshire and Amethyst Starostin for providing the entertainment during the Making Strides Honor Gala. Last but in no way least, Sandie and I would like to say thank you to the Making Strides committee. As you can see from this list no one or even two people can do this alone. It takes many, all have special gifts and talents. We were lucky to work with some very special people on the committee. So for each of your gifts, thank you Sunshine, Serina, Kitty, Nevar, & those very special ones who like to stay nameless. As for ways to help… become a new name next year to this list of amazing people here in Second Life. Watch for ways soon. This entry was posted in american cancer society, Committee event, making strides, non-committee, Parade of Homes in SL, second life and tagged #breast cancer awareness, .EscalateD., 2018 Strides Walk, ACS, AFantasy, american cancer society, Auctions, AvaGirl, awareness, AXL pro, BedBugz Boutique, Bentley Homes/Bentley Furniture, Bliensen + MaiTai, breast cancer, breast cancer awareness month, cancer, Captivating!, caregivers, DCKM, donation, Donni's Dollies, events, EVHAH, Fae Fantasy Creations, FANATIK, Fantavatar & Moonstruck, Feyline Fashions, FireWithin, fundraising, Harry's Outdoor & Living, Implings, Indigenous, JBC Architecture, JELO, Just Ordinary, Legends, Lilith's Den, Love Everlasting Home and Garden, Lunistice, Making Strides Against Breast Cancer, making strides against breast cancer across second life, mission, MSABC, ND/MD, Out Shop Cancer Shopping Event, Park Place Home, Photos For A Cure, Pierce Design Studio, pretty please/lowlife, Raffles, Sadie's Design, Sanctuary RP Community, second life, SKYY Games, Sol Existence, Spyralle, strides, Strides Parade of Homes in Second Life, strides walk, Studio Craft Architect, Survivor Caregiver Honor Gala, survivors, t1 radio, Terra d'ombrA, The Emporium, The Rack Pack, The Reckless Angel, Timeless Textures, Torgon's, TRS Designs, Varriale Designs, Ways to Help Wednesday, YoKana, [Ari-Pari] on November 1, 2018 by lealaspire. Auctions & Raffles !! Get Your Bids Ready & Get Your Raffle Tickets Today! 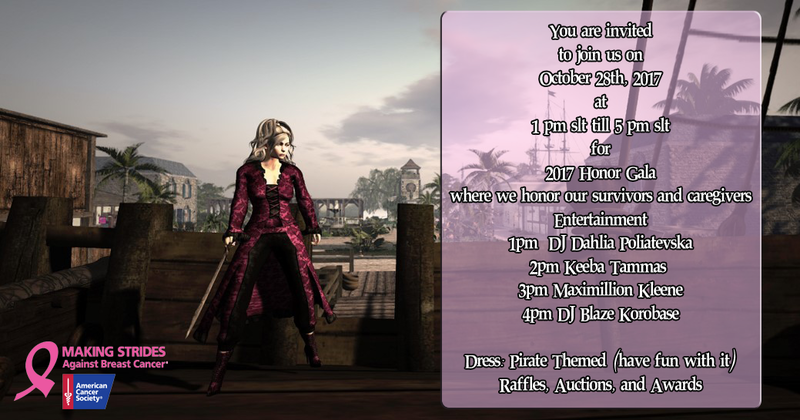 During the 2017 Survivor Caregiver Honor Gala on Saturday, October 28, 2017 from 1pm SLT to 5pm SLT, there will be special Live Auctions taking place with all proceeds going to benefit Making Strides Against Breast Cancer and the American Cancer Society. Auction items can be previewed on the Making Strides sim on the ship opposite the landing point on the town square. has a step on for the rider and passenger when the engine is turned on. Model on display has been unscripted. Winner will be sent full scripted bike. Your Choose any ONE of 37 Male Avatar Pack from CG Designs. Destiny Estates is great rental company ran and owned by Lioness Kitty (taraa.destiny). She has donated FOUR 2 Week Luxury Oceanfront Villa Rentals to the top bidders. Winners names will be given to her and the winners can contact her to arrange your Two Week Vacation. She has multiple Oceanfront Villas. 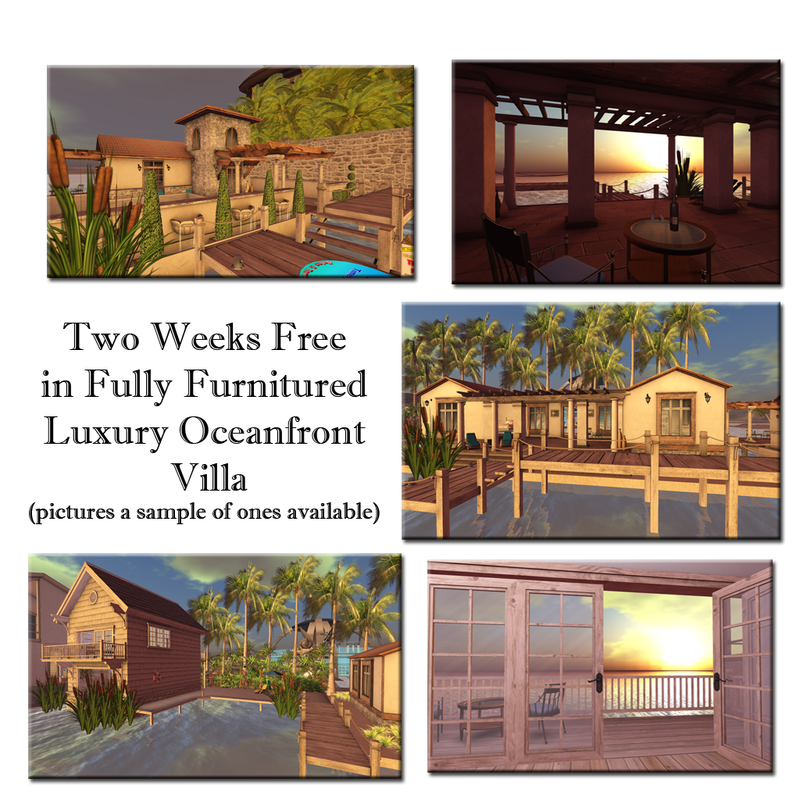 All are fully furnished and come with generous prim allowances. This would make a great getaway for a special occasion with your special someone or just a nice rental to consider Destiny Estates as a rental home for you in SL. Auction Items are located on the pirate Ship if you like to take a look or want more information on items. Auctions will be LIVE on Oct. 28th during the Honor Gala. 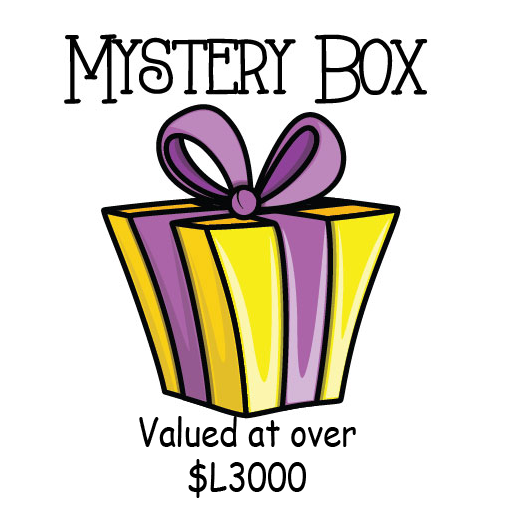 You can place bids via Sandie Loxingly and Leala Spire before the Gala, if you can’t attend. Raffles are open for all to purchase tickets now. Raffle boards are located on the town square of the Making Strides sim. For questions or more information about either the Auction or Raffles, please contact Leala Spire. This entry was posted in american cancer society, Committee event, making strides, second life and tagged #acs, #American Cancer Society, #breast cancer awareness, #cancer, #TEAMMSABCofSecondLife, 2017 MSABC in SL, ACS, Auctions, events, Live Auctions, Making Strides Against Breast Cancer, Raffles, Survivor Caregiver Honor Gala, Treasure the Chests on October 26, 2017 by sandieloxingly.